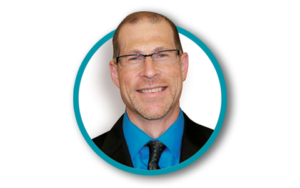 Dr. Ward is an advanced Foot and Ankle Surgeon who has practiced in the Lima area since 1999. Prior to settling in Lima he did his residency training at the Dayton VA medical center, Wright Patterson Air Force Base, and VA outpatient clinic in Columbus Ohio. Dr. Ward has had solid training in all surgical and non-surgical problems. He has also had advanced training in Wound Care Medicine, Limb preservation surgery, Plastics and Flap techniques, Reconstructive surgery, Trauma, and Ilizarov external fixation techniques. This allows Dr. Ward to treat a wide array of problems, deformities, and trauma of the foot and ankle. Dr. Ward is currently Board Certified in wound care by the American Board of Medical Specialties in Podiatry, which has led him to be a vital part of the St. Rita’s wound clinic where he serves as a staff physician to treat all types of wounds involving the lower extremity. He is also Board Certified by the American Board of Foot and Ankle Surgery. He has previously served as past Chief of Podiatry Surgical section for both St. Rita’s and Lima Memorial Hospital. He currently serves on the credentialing committee for Cornerstone. Also, currently serves as the chairman of the Infection Control Committee for St. Rita’s Medical Center. Dr. Ward also is currently the Director for the Foot and Ankle Residency Program. He enjoys the opportunity to train and lead young new Foot and Ankle Surgeons as they prepare to practice medicine and surgery as well as become leaders in their community. Dr. Ward resides in Elida, Ohio, with his wife, Liz, and sons. Dr. Gray is an Ohio native. She joined West Central Ohio Podiatry in July 2012. She received her Bachelor of Science in Pharmaceutical Sciences from The Ohio State University. After college, she attended the Ohio College of Podiatric Medicine in Cleveland. She completed a three-year foot and ankle surgical residency at St. Rita’s Medical Center. Dr. Gray is Board Qualified by the American Board of Podiatric Surgery and American Board of Podiatric Medicine. Dr. Gray enjoys treating all ailments of the foot and ankle. She holds privileges at St. Rita’s Medical Center and Lima Memorial Hospital. Dr. Gray is an avid OSU fan and enjoys running and camping. She lives in Sidney with her husband, Eric, and their sons, Jimmy and Luke; and her chocolate lab, Carmen. University of Detroit Mercy and completed medical school at the Ohio College of Podiatric Medicine in Cleveland. She completed her residency in Lima at the St. Rita’s Foot and Ankle Surgical Residency Program. 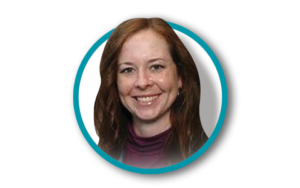 While in her residency, Dr. Niemeyer has had extensive training in surgical and non-surgical aspects of the foot and ankle. 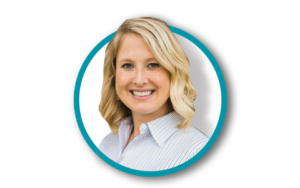 Dr. Niemeyer is Board Qualified by the American Board of Podiatric Surgery and is currently on staff at St. Rita’s Medical Center; also at Lima Memorial Hospital where she serves as Chief of Podiatry. She serves as an attending physician for the St. Rita’s Medical Center Foot and Ankle Surgical Residency Program. Dr. Niemeyer resides in Kalida with her husband, Andy, and their daughter, Camryn. Dr. Rauh is originally from Fort Recovery, Ohio. After receiving her undergraduate degree from the Wright State University she studied Podiatric Medicine and Surgery at the Scholl College of Podiatric Medicine in Chicago, Illinois. 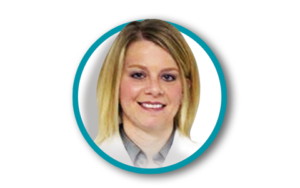 She then completed an extensive three-year foot and ankle surgical residency at St Rita’s Medical Center in Lima, Ohio and became board qualified in podiatric surgery in 2017. As a result of the extensive nature of her training, she is capable of treating the full spectrum of foot and ankle disorders including: traumatic injuries, sports injuries, bone and soft tissue deformities, pediatric conditions, diabetic wounds, dermatological conditions and many more. Dr. Rauh’s goal is to provide the comprehensive, quality care that you and your family deserve. Dr. Rauh has privileges at St. Rita’s Medical Center, Joint Township District Memorial Hospital and Mercer Health. In her time away from her practice, Dr. Rauh enjoys spending time with her friends and family. She lives in Fort Recovery with her husband Tyler and their son Wesley. Additionally, she enjoys running and traveling. Our Mission: With Humility and showing God’s love; treat, repair and reconstruct people with physical pain and deformity bringing great hope of removing pain, restoring function that will renew a person back to life.